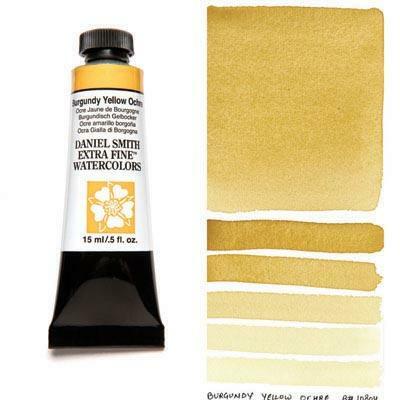 A warm, glowing earth color, suprisingly smooth in washes. In a light wash, the yellow is very clean, as sunny and subtle as morning light in a French vineyard. This natural ochre was mined from a deep vein that runs near the Loire River in western Burgandy, since the mines were closed in 1970, we feel lucky to have found a supply of this unique pigment.